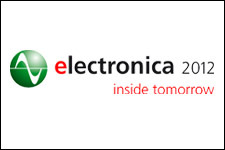 Tecnomaster Group will attend the 28th edition of Electronica, the international trade fair for electronic components, systems and applications which will be held in Germany, Munich, from 8 to 11 November 2016. An excellent opportunity to learn about the services and capabilities of the Group and meet in person the staff of Tecnomaster Group. Specialized sales staff will be available to listen to your most demanding requirements and provide increasingly innovative and technologically advanced solutions. Tecnomaster Group will be pleased to welcome you at booth 101 in hall B4. 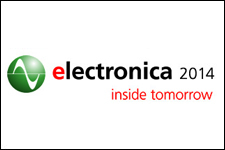 Tecnomaster Group will attend the 26th edition of Electronica, the international trade fair for electronic components, systems and applications which will be held in Germany, Munich, from 11 to 14 November 2012. An excellent opportunity to learn about the services and capabilities of the Group and meet in person the staff of Tecnomaster Group. Specialized sales staff will be available to listen to your most demanding requirements and provide increasingly innovative and technologically advanced solutions. Tecnomaster Group will be pleased to welcome you at booth 500 in hall A2. 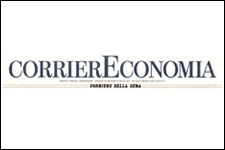 The CorrierEconomia newspaper devotes an article to the Tecnomaster Group, a European leader in the field of printed circuit boards. This company, the symbol of strength of Made in Italy, in recent years has increased, thanks to the acquisition of other companies in Europe, its leadership coming to ensure over today 80% of the market for printed circuit boards in Europe. Since July 1, 2013 Tecnomaster Group will be operational as an Holding with a share capital of 7 million Euros. The holding company will lead the operating subsidiaries Tecnomaster SpA (Italy), SOS Electronic Engineering SaS (France), LPP GmbH (Germany) and Tecnomaster International Ltd (Far East). This organization change will allow us to address effectively the future goals, maximizing the synergies of the Group to be more competitive, to ensure a greater pressure on the market and to oversee strategic areas. 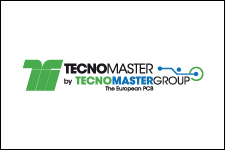 Tecnomaster Group is the first Italian group able to closely supervise three strategic European markets (Italy, France and Germany). After the strong acceleration of investments, which has led to excellent results with the acquisition of the French company SOS Electronic Engineering in 2009 and the German LPP -single European source of Sony – at the end of 2012, the Board of Directors has launched the new setup which gives a further boost to growth and strength of the group. Quite in contrast to the contraction of other PCB companies in Europe. Today more than yesterday our company is a reliable partner offering a complete technology solution ( rigid, flexible and rigid-flexible materials): we work according a one-stop-shop philosophy and guarantee integrated, customized solutions with quick service, with constant focus to quality and customer’s needs. Bank references and IBAN code will not change. We kindly ask you to update our data in your ERP system. I am confident that the new organization will strengthen our partnership and hit new successes together. 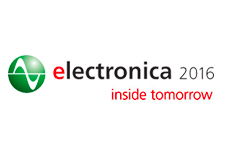 Tecnomaster Group will attend the 25th edition of Electronica, the international trade fair for electronic components, systems and applications which will be held in Germany, Munich, from 13 to 16 November 2012. An excellent opportunity to learn about the services and capabilities of the Group and meet in person the staff of Tecnomaster Group. Specialized sales staff will be available to listen to your most demanding requirements and provide increasingly innovative and technologically advanced solutions. Tecnomaster Group will be pleased to welcome you at booth 430 in hall B1.